Conservaglass is a high-performing glazing product used to ensure our customers get the best value from their investment. It comes in a range of different colours – which means you’ll be able to customise the appearance of your conservatory – and provides a range of money-saving benefits too. It simply offers you more for your home. The purpose of Conservaglass is multiple in nature. It is thermally efficient, which means it will improve the ability of your conservatory, orangery, or extension, to retain heat in the winter months and reflect away heat in the summer. You will, as a result, notice a reduction in the cost of heating your home. Your new room will be eco-friendly too because your carbon footprint will reduce. Conservaglass isn’t limited in its application. 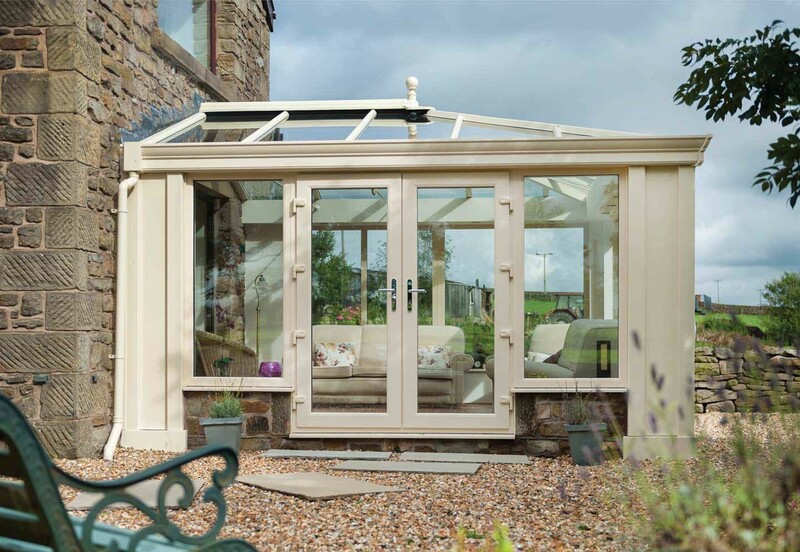 It can be used universally to add value to whichever Ultraframe product you’re interested in – be it a conservatory, orangery or house extension. A wide range of choices will, therefore, be open to you. Conservaglass adds value, whether you’re planning a conservatory, orangery or extension. Conservaglass is available in four different colours. Although the choice you make will have an aesthetic impact on the appearance of your conservatory, orangery or extension, it will also have one on its performance too. It’s important to understand how the specification of your glass will be an important factor in your room’s design. The U-value of your conservatory will stay the same – whether you choose blue, clear, aqua or brown Conservaglass. If UV protection is your highest priority, though, aqua should be your first choice because it blocks out up to 92% of these rays. It’s also the most effective colour for solar rejection, attaining an impressive score of 72%. Your chosen Ultra Installer will be able to tell you more about the benefits of each colour in our Conservaglass range. Ultraframe is so confident in the quality of its high-performing glazing, it offers a 10-year guarantee with each purchase – so, you’ll be able to relax in your new conservatory in complete comfort and with peace of mind. By adding Conservaglass to your conservatory, orangery or extension, you’ll improve its U-value exponentially. Your glazing will be able to produce a value of 1.2 – whichever colour you use in the design or even 1.0 using higher specification Conservaglass. Your Ultraframe product will be covered by our comprehensive manufacturer’s warranty. 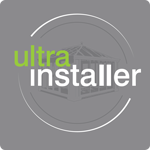 Most eventualities will be covered, but you will need to speak to your accredited UltraInstaller to find out the precise level of the guarantee before instructing them to proceed with work on your conservatory, orangery or extension. Once your new room has been built, you’ll need to start thinking about populating it with tables and chairs. If your furniture uses fabric in its design, its colour could fade when exposed over time to sunlight. Preventing this damage from happening will be easy when you choose an Ultraframe conservatory fitted with Conservaglass. The UV protection properties of Conservaglass will vary slightly depending on which colour you use, but the percentage of rays that will be blocked out will range from 78-92%. Ultraframe’s high-performing glazing will protect your furnishings for many years to come – so you won’t have to spend money replacing items in the near future. Conventional glass can get coated with grime across time. Maintaining a conservatory or extension that uses a high ratio of glass will, in such a case, take a long time to clean. Conservaglass overcomes this problem, thanks to its self-cleaning properties. Debris and dirt are burnt off the surface of the glass using the power of natural sunlight and then wash away with the rainwater. Conservaglass is available in four different specifications, each of which will noticeably improve light transmission, solar rejection and provide better U-values. Each product will reward you with key benefits – for example, each specification is self-cleaning, fitted with a black warm edge spacer and filled with argon gas for enhanced performance. Performance across the range will vary. The UV protection/rejection % of Aqua Conservaglass is 92, while the Brown version will yield a lower score of 86%. For advice about the best Conservaglass product for your extension, speak to your Ultra Installer. Regardless of your choice, you’ll benefit from a 10-year guarantee. Find out the latest on glazing technology. Choosing the right type of glazing for your conservatory roof will improve its performance. View our Conservaglass Video from Ultraframe.